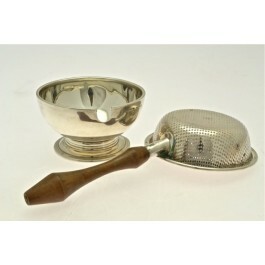 Silver tea strainer on stand. 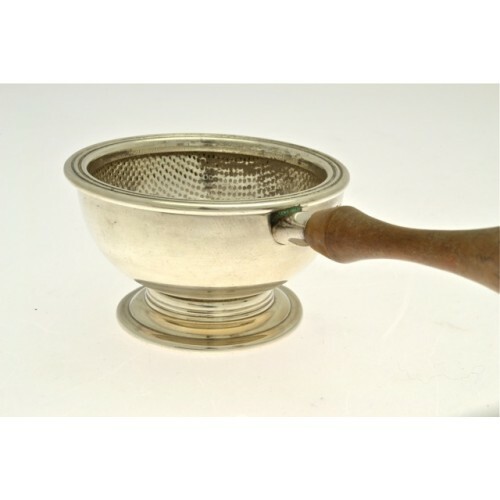 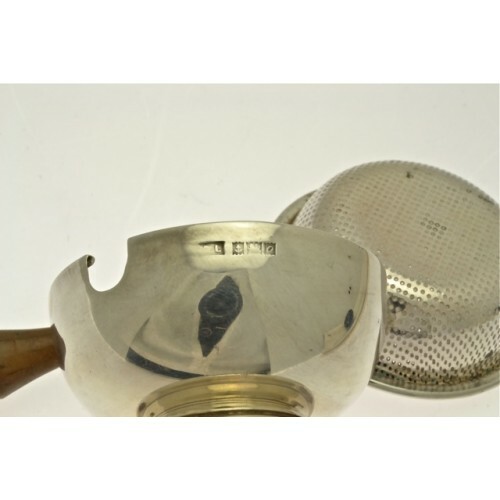 Silver tea strainer on stand, dated 1963/65, Birmingham hallmarked. 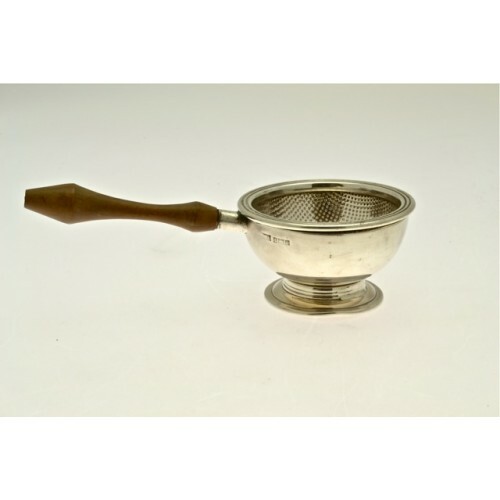 A plain round bulbous dish with a wooden handled strainer on top.